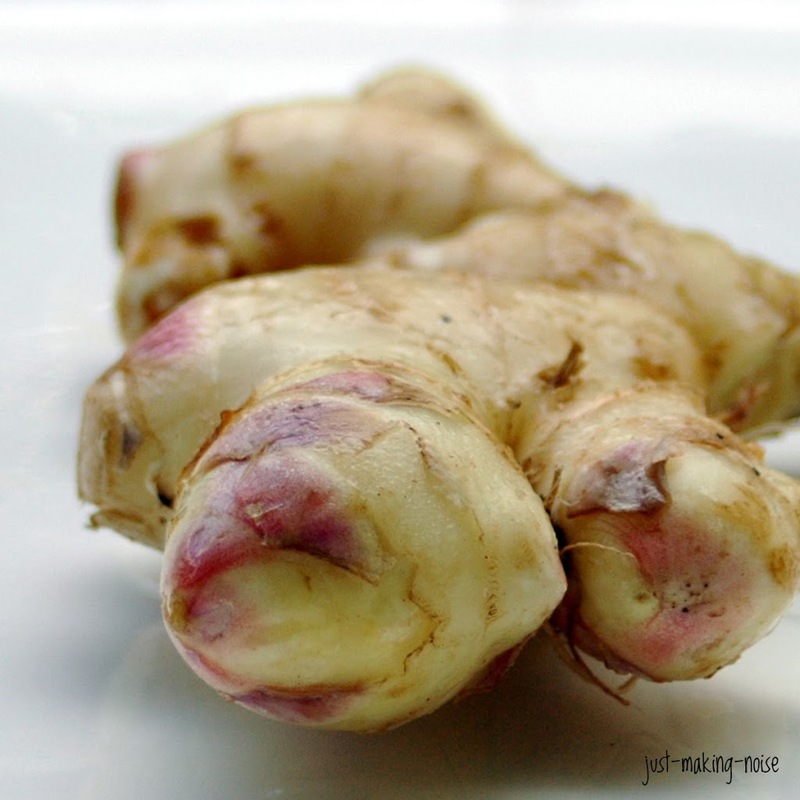 Spicy Sweet Find: Fresh Ginger!! Last Friday, at the feria, I found a beautiful pile of FRESH ginger! I used to be able to get these often when we lived in Jaco, but haven’t been able to find any here in San Ramon till now. I paid 800 colones (about $1.25) for 1 Kilo (2.2 pounds)… talk about a spicy sweet deal!! Did you know that the skin on fresh ginger peels off like a breeze? Oh yeah! It is nothing like the dried, leathery kind that you find in your grocery store and a pain to peel. Don’t they look beautiful? 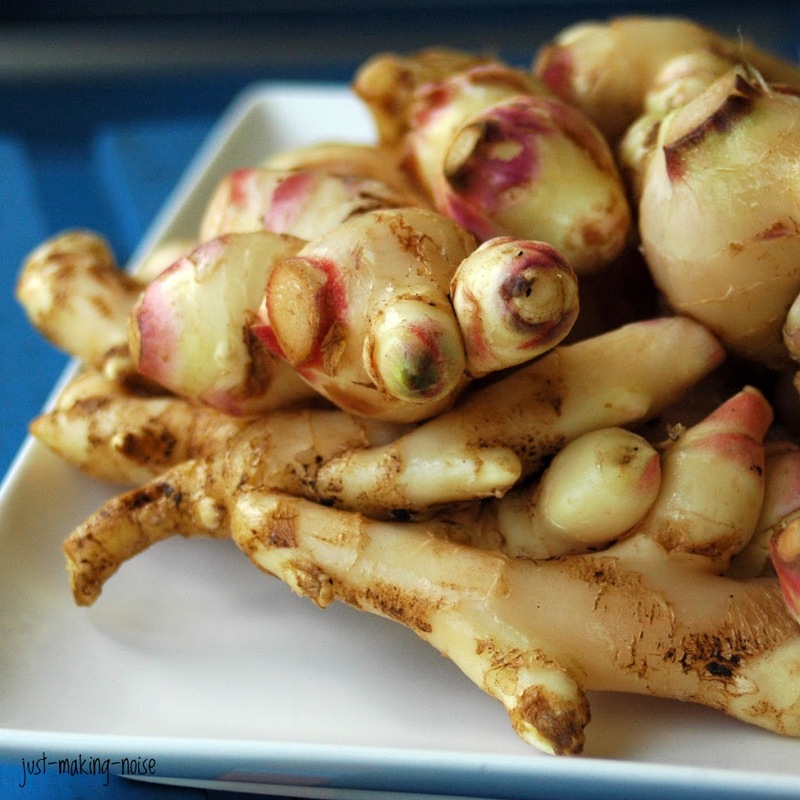 If you had a bagful of fresh ginger… what would you do with it? Please share your ideas & recipes! mmm. i honestly thought the ginger from the grocery store/co-op WAS fresh ginger! where can we find this in the states? 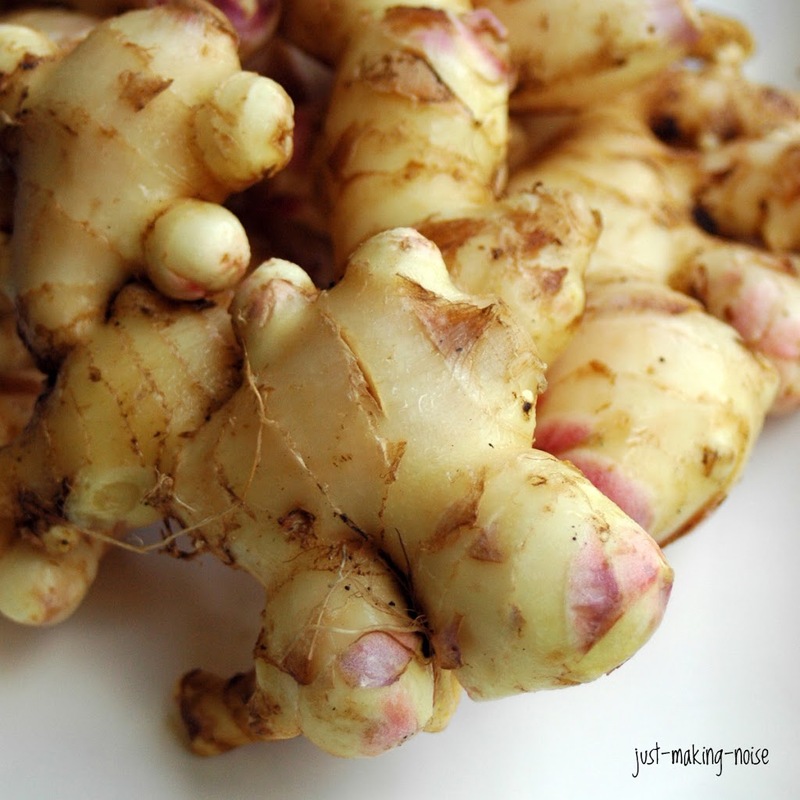 if i had a ton of ginger i’d dehydrate some and grind it in a food processor to use as powdered ginger. id also make ginger beer (non-alcoholic, i think nourishing traditions might have a recipe for it) and id make ginger bread and cookies. That’s a lot of ginger Marilyn. You can julienne them. Then make Chicken Ginger stir-fry. Add some garlic, oyster sauce, soy sauce and a bit of sugar. If you have chinese cooking wine and a bit of flour, then use them to marinate chicken for 30 mins. Eat with rice. Don’t ask me the exact recipe. I don’t measure while cooking! candied ginger. they last a loooong time in the fridge. I would grate some to go in my pear jam I’m making this weekend. I also love to use it in marinades for chicken, shrimp, and beef. (Soy, ginger, orange zest and juice, sesame oil…ahhh, heaven!) Love it minced or grated and thrown in stir-fries and fried rice. And of course, if you can’t use it all up at once, ginger does freeze quite well! Last time I made chicken soup I added large quantities of ginger, and it was amazing! For our last big catering gig, I needed to make 60 lb. of ginger chicken. I wanted the fresh ginger flavor to come through, so I juiced the whole giant pile of ginger in my juicer ahead of time. I froze it in ice cube trays, and was able to have it fresh and ready-to-use for the chicken. Plus, any extra is handy to use any other time, as it will keep so well as a “ginger ice cube”. Mrs Mordecai – That’s sounds amazing! Jennifer Cote – I DO have a Champion juicer! I LOVE your suggestion! That would be great to throw into my smoothies! 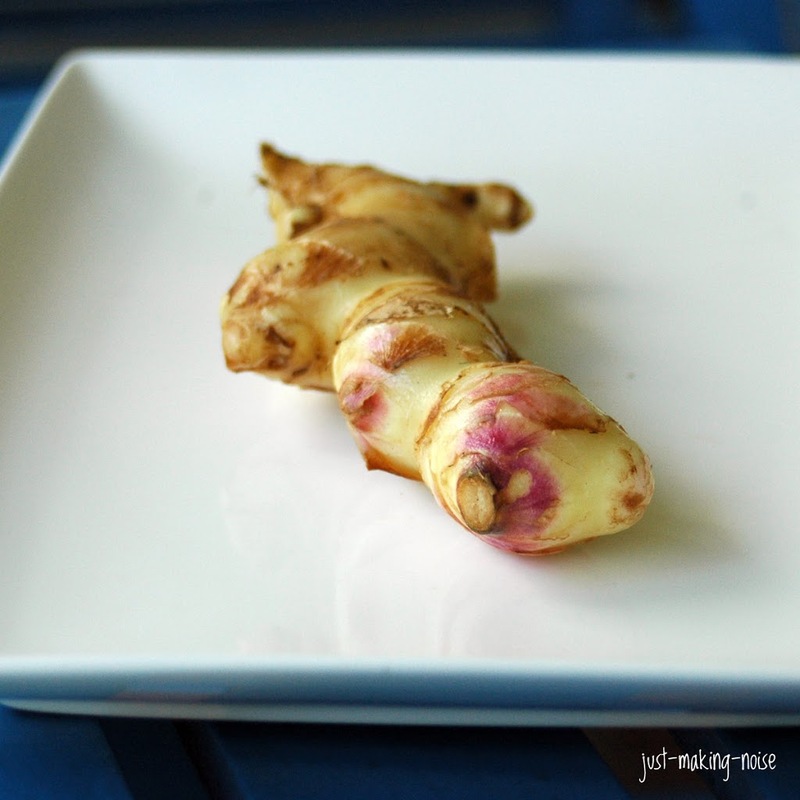 tastyeatsathome – ginger in jam… sounds delish! david – I just might try that. Made Sushi Gari with fresh young ginger. Cheaper than buying ready made with red coloring! Also, sliced pickled ginger is great accompaniment to Century Eggs. Another favourite of mine with young ginger since it has more juice then old ginger is to marinate raw fish with its juice or julienned and spread generously on top of white fish fillets with sesame oil, sliced garlic and soy sauce before steaming. Oooh that ginger looks amazing! I put ginger in everything – crystallized ginger in granola, cookies, and muffins; fresh ginger in Chinese and Indian food. I also love tofu or shrimp stir-fried with garlic, ginger, and miso. Ginger is a regular part of my diet. I pick up a bunch at least every other week from my local Ranch 99 market (which sells three types–“baby”, fresh, & the standard “dried”). I use it in vegetable stir fry. I use it with lentils to make a spicy dip or as a spicy soup. I make sorbet with seasonal fruit (peach, plum, pear, apple). I only made candied ginger once, and given how little I bake, it just doesn’t seem worth the effort when I enjoy it fresh! I do use it–just minced–to make carrot ginger scones.